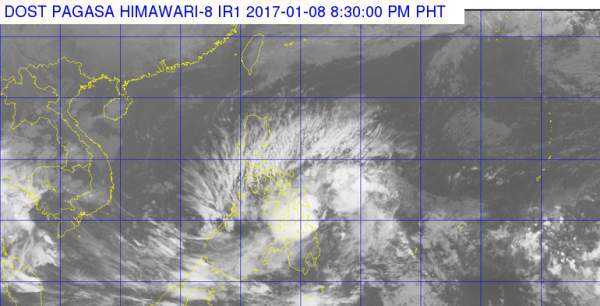 Bagyong AURING Updates, Forecast, Storm Signals and Track (January 9, 2017) | #AuringPH - Balita Boss! Philippine Atmospheric, Geophysical and Astronomical Services Administration (PAGASA) said that the low pressure area of East of Mindanao has developed into a Tropical Depression and was named Bagyong Auring. Here's the weather updates on Bagyong AURING from the state weather bureau. "BAGYONG AURING HAS WEAKENED INTO A LOW PRESSURE AREA (LPA)." According to the weather advisory of PAGASA, issued at 10:30 a.m., the LPA (formerly Bagyong Auring), at 8:00 a.m., was estimated based on all available data at 40 km East of Mactan City, Cebu (10.3°N, 124.3°E). For latest updates, kindly check below the Tweets about "#AuringPH" .